With a body as solid as his reputation, private investigator Drey St. John never dreamed helping the Braddocks discover the truth behind their father's fatal crash would lead to his own mother's shocking confession: Senator Braddock was Drey's biological father. Determined to solve the case, Drey enlisted all-work-and-no-play Charlene Anderson's help. But the more time he spent with the beautiful forensic scientist, the more he realized their sharp banter fronted a simmering mutual attraction that wouldn't be denied. Charlene's career left no time for exotic playboys. 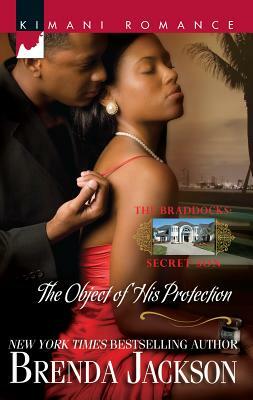 Then she found herself under Drey's roof, in need of his protection--and a victim of his seductive charms. But when the late senator's secrets--and Drey's true identity--were uncovered, would Drey face the betrayals in his past, and his future as a Braddock, with Charlene by his side?